Join us for a fabulous gin tasting. Gin has experienced a huge surge in popularity, but do you know your Old Tom from a London Dry? 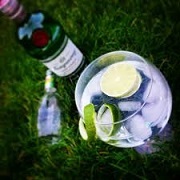 We've devised a Gin tasting that takes you on a tour of the styles of the world, while making some of the best Gin drinks, from the Perfect G&T, Martinis and cocktails. You'll sample 5 styles of gin styles from 4 countries. Made from a mash of various grains and flavoured with juniper berries and aromatics such as coriander and pink pepper, gin is incredibly diverse. Discover your preferred style and create a perfect G & T and Martini.